Feeling: Feelings Book for Kids! FREE! 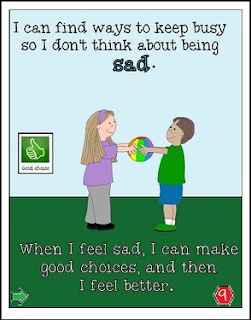 A children's story about recognizing, accepting and managing sadness. Freebie contains color version of the story. Part of the Dealing With Feelings Series. The Dealing-with-feelings stories have been created to be more general than Social Stories and can be used by parents and educators to educate young children to recognize their feelings as normal and have strategies to try to manage the 'trickier' ones. Thank you in advance, to those of you who generously take the time to leave feedback.